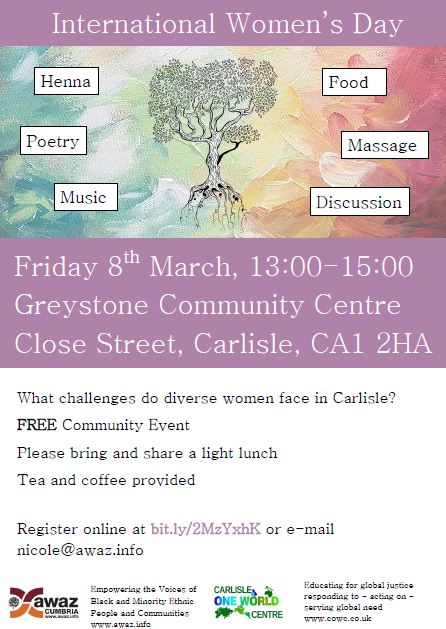 A gathering for all women in Carlisle to celebrate International Women's Day 2019. How can we support each other in social mobility, integration, personal development and career progression? There will also be poetry, live music, henna, hand massages and a play area for children.